Peter Milne has worked in the space industry since 1975, with experience of space segment, ground segment and telecommunications networks. 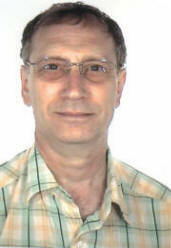 In 1989 he formed Aetheric Engineering Ltd and has been a Director since that time. He has supported the implementation and operation of systems in Africa, Asia, Europe and North America. He participates in the CCSDS (Consultative Committee for Space Data Standards) and was a member of the Telecommunications and Navigation Advisory Board the British National Space Centre (The British National Space Centre has since been replaced by the UK Space Agency).